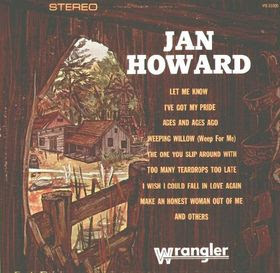 This is a collection of Jan Howard's earliest recordings. The One you slip around with is, the hit, is the best here. Skeeter Davis did a good version of it but Jan's better. I've got my pride is good here too.